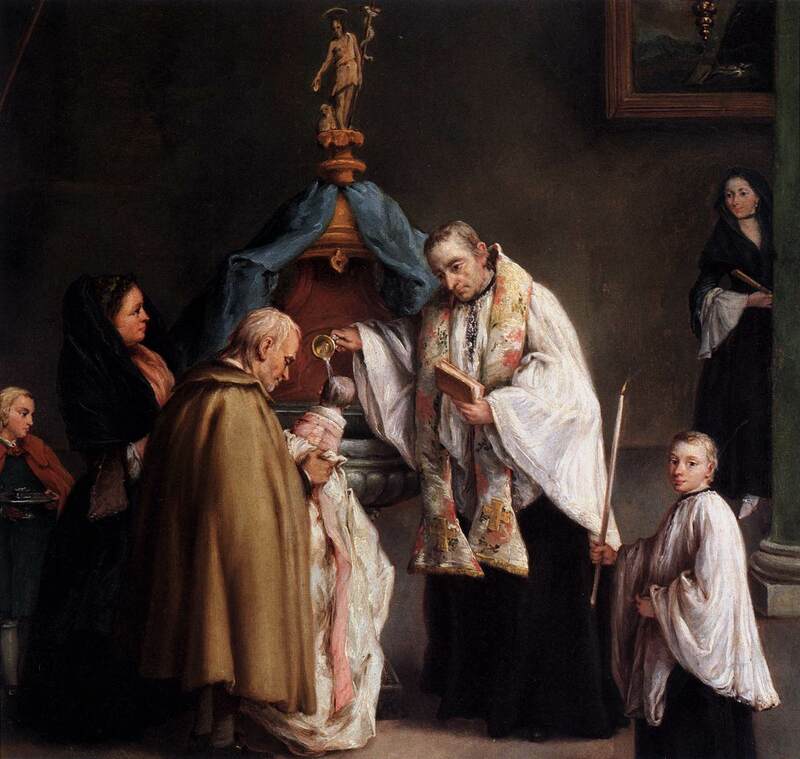 This month’s topic is on Baptism and Confirmation and the profound connections between the two, and for our piece of prayer table art, I recommend this work by Pietro Longhi entitled The Baptism. Baptism is the foundation of the Christian life and is a sacrament that most of your students will have experienced. It’s very easy to be drawn into this happy scene. Almost all eyes are focused on the beautiful drama being enacted near the center as the infant is beginning her new life in Christ. The woman on the right, behind the pillar, doesn’t seem to be part of the family, but she can’t resist witnessing this wonderful event, and the server in the front is looking out at all of us, make us feel like we’re part of the scene as well! Thanks to the Web Gallery of Art!